Many of you know that I’m a tremendous fan of Laurie R. King’s Mary Russell and Sherlock Holmes mysteries, but I’ve also loved many of her other books, including Touchstone, a historical mystery and thriller set in 1920s England. When that book was published in 2007, King said there might be more books with those characters, and now, six years later, she’s published the sequel. 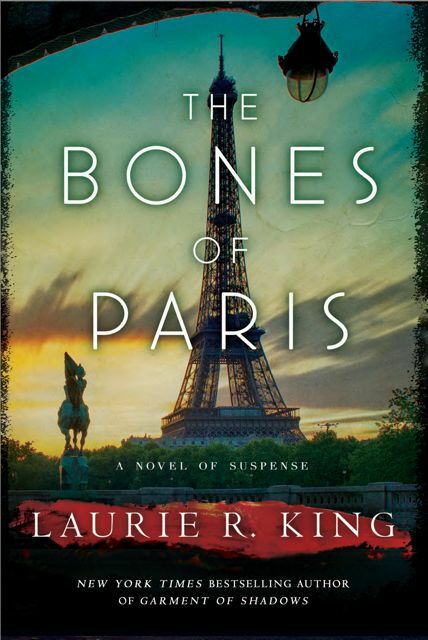 The Bones of Paris is set in 1929, three years after the events in Touchstone. U.S. intelligence agent Harris Stuyvesant has left his government job and is now a private investigator who travels around Europe, going where his jobs take him. Now, he’s in Paris looking for a young American woman named Philippa Crosby. Philippa was part of the artistic community in Montparnasse. She’d been given a sketch by Picasso, she’d posed for Man Ray, and she’d attended (and perhaps performed at) the Grand Guignol. In investigating her disappearance, Harris ends up seeing a side of Paris that’s darker and more unsettling than the glamorous parties we often think of when imagining Paris in the Jazz Age. Figures like Hemingway, Cole Porter, and Gertrude Stein hover around the edges of this story, but this is a book about bones and death and the people obsessed with them. This book’s heart is in the catacombs, not the clubs. Harris himself doesn’t know what to make of what appears to him to be a celebration of blood and violence that he finds when he starts digging into Philippa’s life. And indeed I think this book takes a good hard look at what it does mean to use violence as entertainment. When it is healthy catharsis, and when is it obscene? The Grand Guignol, with its horror spectacles juxtaposed with slapstick comedy, is popular with people looking for a way to tame their own feelings about the violence they experienced in the war. But Didi Moreau’s taxidermy dioramas featuring uniformed white mice on a battlefield, among other things, are kept in a locked room, separate from his other art. A few times, as a reader, I had to wonder how dark this book was going to become. I have a strong stomach for horror fiction, but this book was much more macabre than King’s other books. But you have a get a taste of extreme horror to explore what its limits are or ought to be. I liked that she took the risk to actually describe some of the horrors Harris saw. It’s been several years since I read Touchstone, and I didn’t remember much about it. That didn’t make it particularly difficult to follow the plot of this book, and King provides enough general background about the characters to make their relationships comprehensible. However, as I was reading, a few things came back to me that made me more aware of how complex their situation—and their feelings—might be, but I would have liked to have had a copy of Touchstone to refresh my memory on a few things. 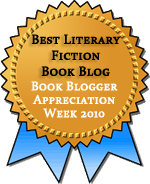 The significance of Sarah Grey’s story in particular is unclear without having a clear memory of the previous book. Again, King provides enough to make the general outlines of the relationships clear, so it is possible to read this without having read Touchstone, but a clear memory of the earlier book would only enhance the experience of this one. I’ve just started Touchstone, so I’m being very disciplined and not reading this yet. When you finish it, come and share what you think! I might have to re-read Touchstone before I’m ready for this; which makes it a good winter’s weekend entertainment. I’m not sorry that I reread this without rereading Touchstone–it was so deliciously dark and fun–but rereading Touchstone would have enhanced my appreciation of this one. I actually enjoy the Kate Martinelli books more than the Mary Russell ones, so when I saw ‘Touchstone’ was set back in history as well, I didn’t bother with it. However, in the light of the course on Historical Fiction that I’m starting tomorrow and given this excellent review I must rethink my decision and see if the library has copies of either or both. I gave up on the Martinelli books halfway through the first one because I figured out what she was doing with Kate’s romantic partner almost immediately and got annoyed at the tricksiness of it. I do want to return to them one day because so many people do like them, and I could read past my annoyance more easily now that the cat’s out of the bag. The Stuyvesant books, especially this one, are a little edgier than the Russells. Harris is more of a hard-boiled hero than Russell or Holmes are. I remember that I enjoyed Touchstone but that I thought the plot was a little thin. I barely remember anything else about it! Like Jeanne, it would probably be good for me to revisit it before I read this one. I reread my review before reading this, which was enough to refresh my memory on the basics. I didn’t like it as much as the Russell books, but I did like it. I liked this even better, mostly because parts of it were so deliciously creepy. I didn’t know Laurie King did other things besides the Mary Russell books. But, goody! I want to be on the Laurie King bandwagon, but I don’t care about Sherlock Holmes and had a hard time getting into that series. Adding this to my list instead! Yes, she’s written lots of other stuff. She’s just been focusing on Russell lately. But she’s also got a contemporary mystery series and a handful of other books. As much as I love Russell, I liked seeing something different from her this time. I can see you liking this. I couldn’t resist buying a copy of this, even though I haven’t read (finished) Touchstone. I just can’t resist LRK’s books. I was planning to wait for a library copy, but there’s still a hold line, so I felt tremendously lucky to get a cheap copy. I read this before Touchstone, but now I was to read that one too! I kind of want to reread Touchstone now to remind myself of the details of the characters’ histories. I couldn’t really get into Touchstone though I did finish it but found it interesting that she wrote a sequel, and if I remember who Sarah Grey is and what happened at the end of Touchstone, her continued presence in Harris’ life is interesting. But maybe not interesting enough for me to pick up the book. Hm. I enjoyed both novels, but I, too, liked this one better. Loved the info about Montparnasse and KiKi and the Grand-Guigol. Yes, it was so interesting to get to see that side of Paris.